Full-time coach , 20+ years experience. Coaching services are fully personalized , sent on a weekly basis. Training method is adapted to athlete´s real life , level and targets . Communication with athlete is paramount so I can always be aware of their status (TP, messenger, email...). Specific Strength Training program can also be provided. Nutrition and gear advice available. BSc in Sport and Exercise Science. Universidad Politecnica, Madrid (Spain). 1997. Level 3 Swimming Coach. RFEN (Spain´s National Fed.). 1997. Level 3 Triathlon Coach. FETRI (Spain´s National Fed.). 1998. Coaching since 1997, from age-group to elite athletes. Other sports practiced during my younger years include Athletics (Track and Field), Swimming and Football (Soccer). My actual group of athletes include triathletes (including Kona qualifiers), runners (marathon, trail-running..), cyclists (road and mountain bike) and swimmers (indoors and open water ). Languages: Spanish , English and Portuguese. 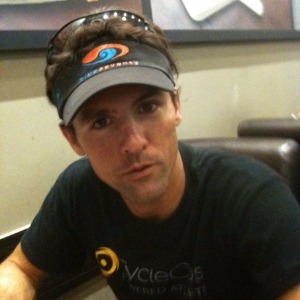 Previously worked as a Swimming and Triathlon Team Head Coach. Also Fitness Trainer in semi-professional Football (soccer) and Basketball teams. Highly recommended tools : Powermeter for cyclists, GPS for runners. Success. Coach Jaime Vigaray has been notified of your message.